Pulling ourselves away from the stunning coast line, we headed off in search of another treasure, following the coastline the whole journey was a joy, it gave us more and more vista of the blue sea with the sun shimmering off its reflection. In the middle, of the small village we pulled in to a family run campsite (named Camperstop, someone thought long and hard about that one) and settled down for a few days. 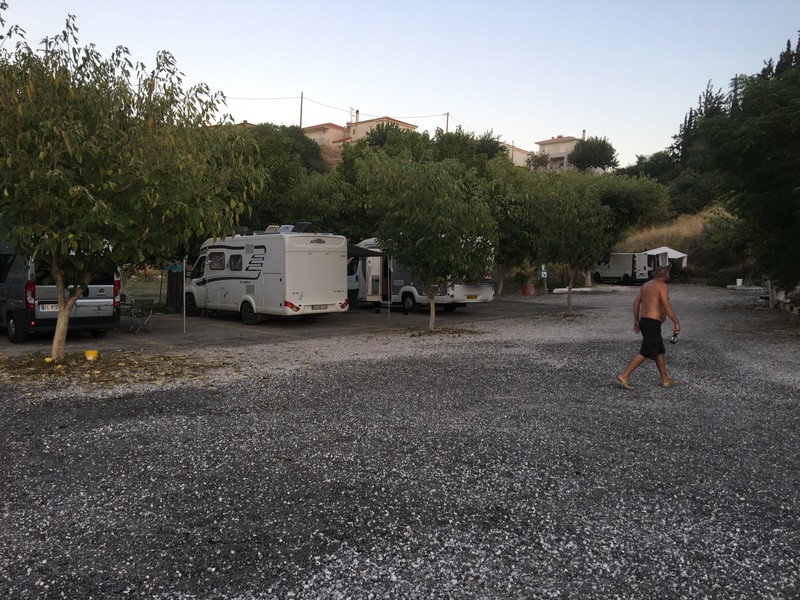 The campsite is run by an old chap in his 80’s and an extraordinary helpful German couple, who are really just here for the winter! Located in the grounds of their home, it truly feels like home from home. From the warm welcoming smiles to small amount of fresh veg for sale, somehow enough veg to make a sublime ratatouille cost me 50 cent……. 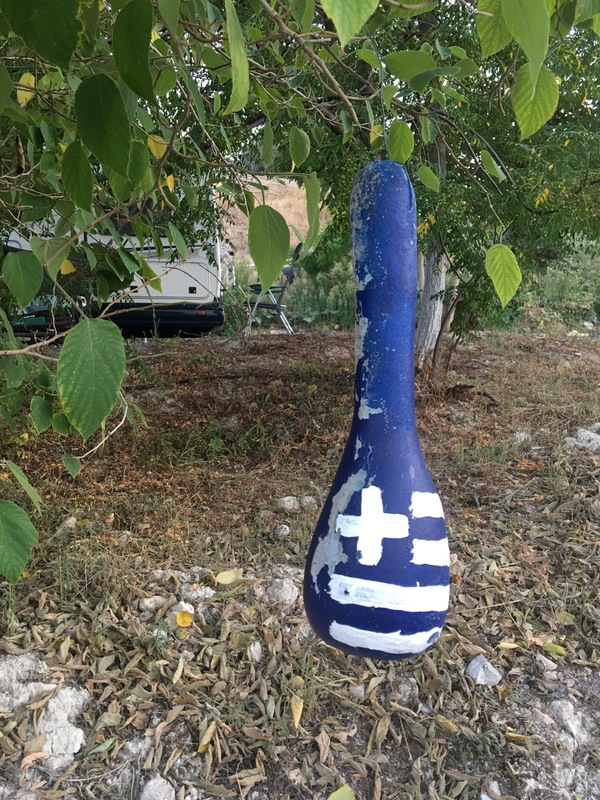 This place is Greek hospitality at its finest. 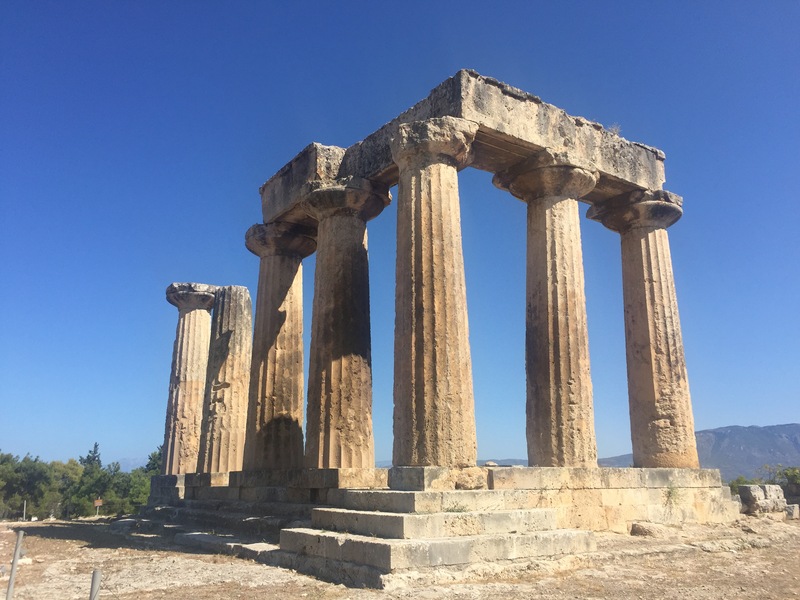 By the 6th century BC Corinth was one of the richest city-states in Ancient Greece. 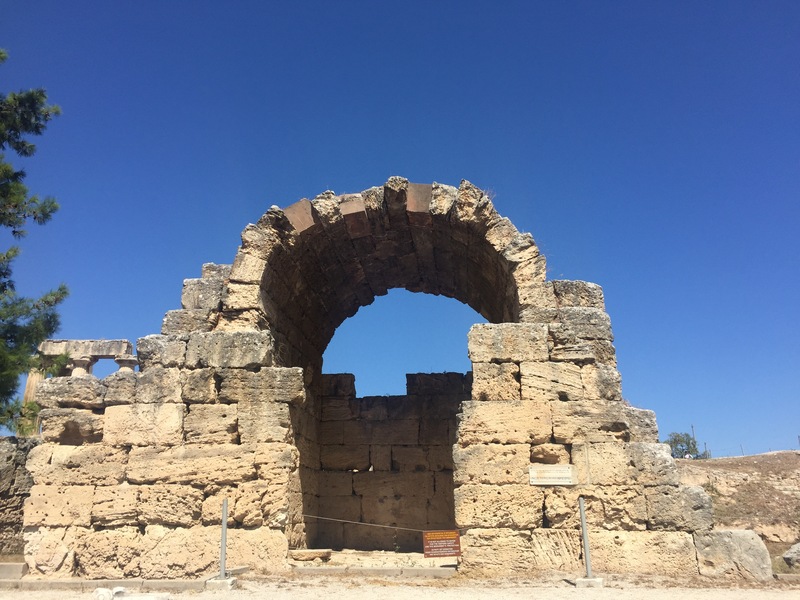 It was located on the Isthmus of Corinth, a thin stretch of land that connects the Peloponnesus to Attica, making this city strategic for both its trade and military access to the cities of Sparta in the west and Athens to the east. It was a powerful and influential city-state that usually allied itself with Sparta for protection. That ended when the Romans sacked Corinth in 146 BC. In 44 BC Julius Caesar decided to rebuild the city, and it once again became a major metropolitan trading center. 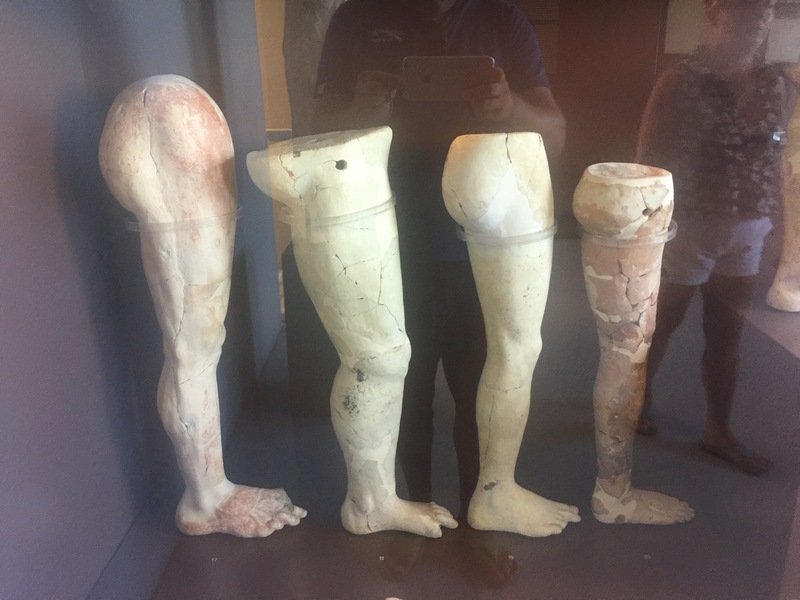 There is a museum at the entrance to the site of Ancient Corinth. 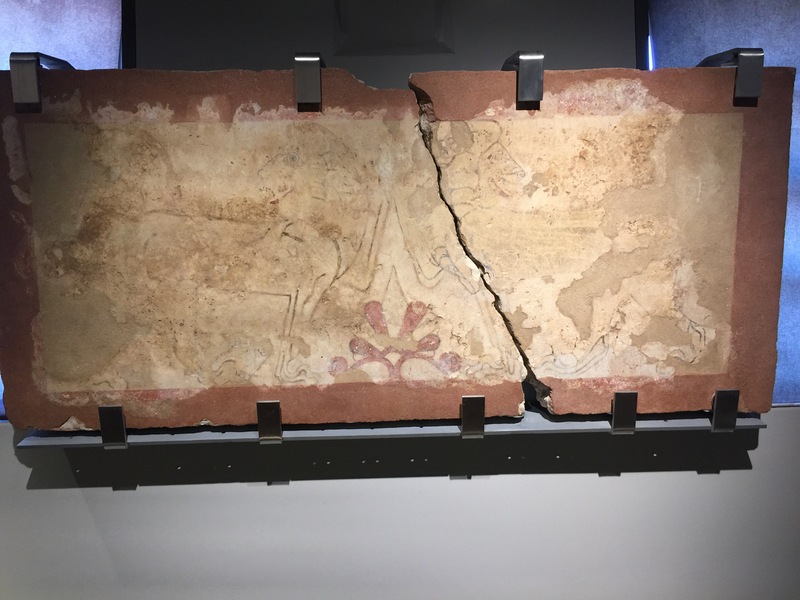 Several statues, mosaics, friezes, and pottery pieces that were found on site are housed here. 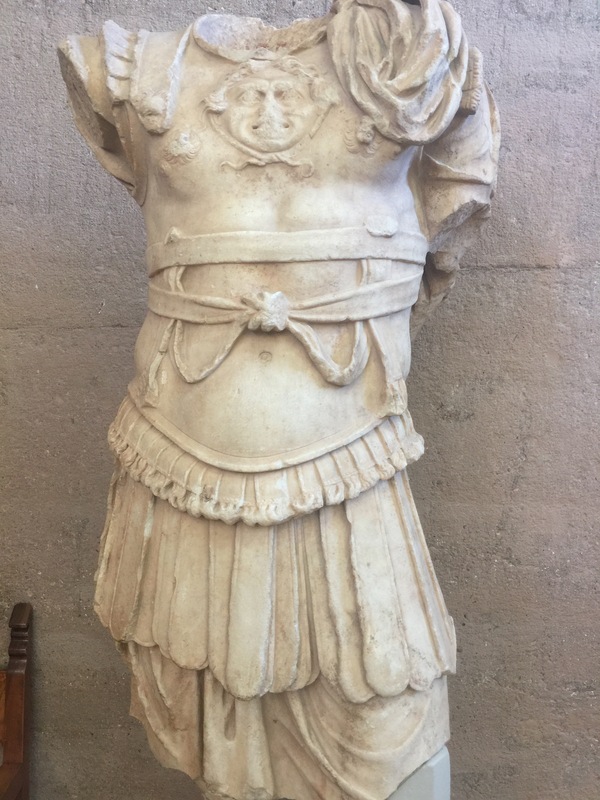 Most of them are Roman replicas of Ancient Greek pieces. 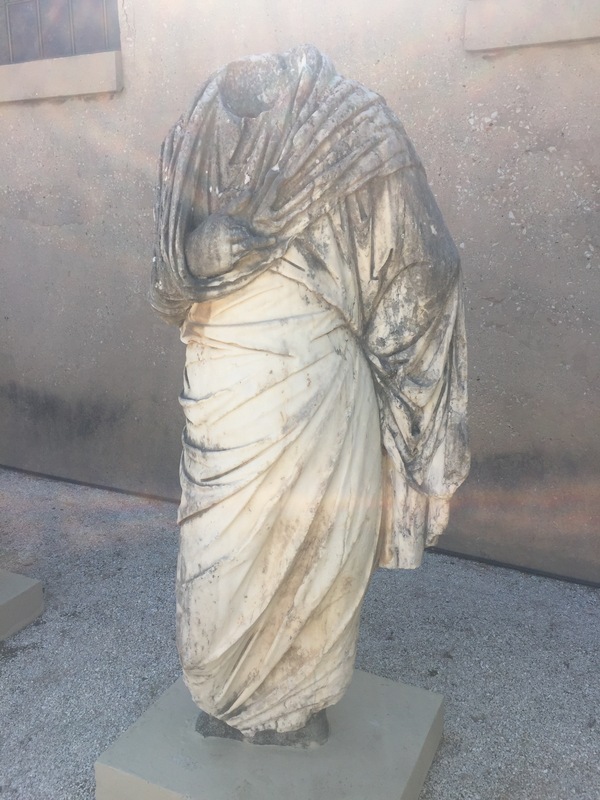 Anything Greek from the site was pretty much destroyed back in 146 BC. There are pretty good write-ups for the pieces. 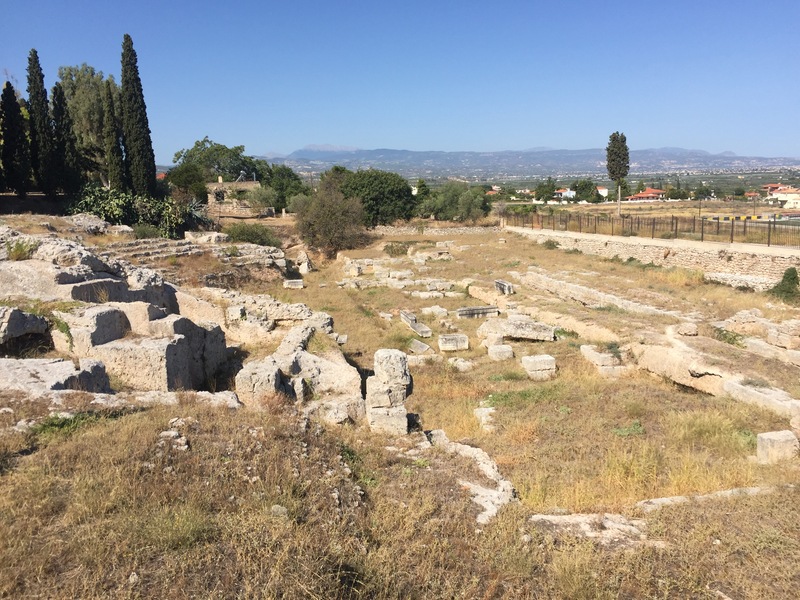 The ruins of Corinth are just that ruins! The site offers a unique opportunity to get up close and personal, very few parts are off limits with its path way intermingled with the historic monuments. The most recognizable structure is the Temple of Apollo, built in the 5th century BC. The rest of the site was a mixture of rubble and foundations. 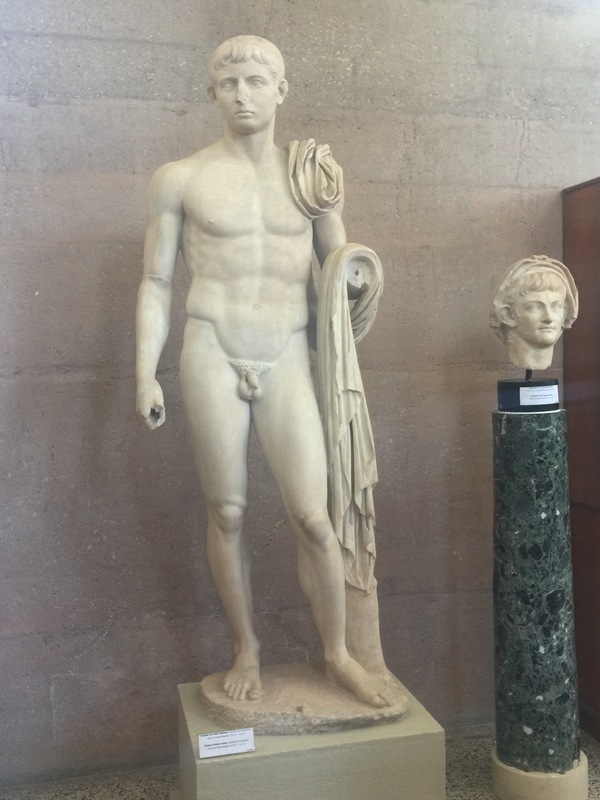 There was an Agora with a forum for important government meetings and proclamations. It was here that Phillip II (Alexander the Great’s dad) had the people swear allegiance to him when he conquered the peninsula in 337 BC. 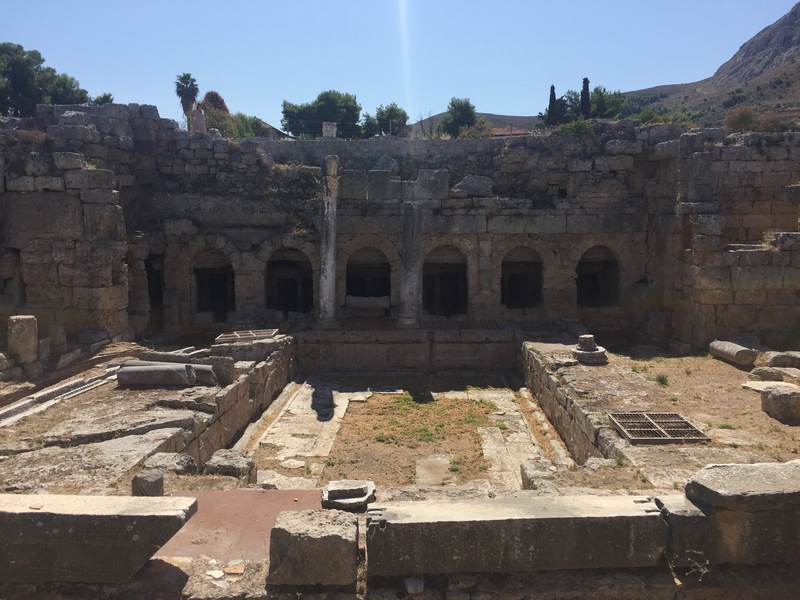 It is also the place where the Apostle Paul preached Christianity for the first time to the people of Corinth. The Lower Peirene fountain was really interesting. It is a natural spring that has been in use since ancient times and is still used by the people of Ancient Corinth for their water supply. The myth behind the fountain recounts the weeping of Peirene when Artemis killed her son. The gods decided to put the tears to good use and made this fountain. Once you get past the fascinating history and have a rest under the shade of the one of the trees, stopping to just admire the beauty of this place, it takes on another life, For me, it is about walking alone among the old columns, feeling the same wind in my hair as the people who built them and the same sun rays on my skin..
It’s about watching the never-ending sea merging with the sky on the horizon, the mysterious mountain tops hidden in the clouds, the blankets of flowers on the stones and understanding why the ancient Greeks worshiped the gods representing all the elements of nature.